Gilat brings together outstanding people from diverse backgrounds to solve real communication problems for commercial and government organizations all over the world. Whether you’re fresh out of college or an experienced professional, Gilat can offer you an extensive range of career opportunities. You’ll be welcomed into a company that thrives on teamwork and collaboration, while also encouraging individual expression and independent thinking. If you have great ideas, we’ll challenge you to pursue them. Not only that – we’ll provide the training, resources and support to propel your career forward. Be part of a vibrant and innovative company that has consistently been at the forefront of the satellite communications industry. Impact the way millions of people communicate every day using Gilat’s widely deployed solutions and technologies. 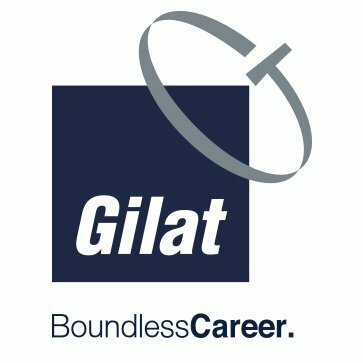 With over 1,000 employees and offices located around the world, Gilat offers excellent opportunities for advancement and professional growth. We’re looking for talented, out-of-the-box thinkers to join our growing company. This is to inform you that RaySat Bulgaria Ltd. EIC 121447219, address: Mogilata 2A St., 1700 Sofia is a Controler of personal data in accordance with GDPR /EU/2016/679. Some of the information that you provide voluntarily is personal information and falls under the special protection regime of personal data. The personal data provided by you will be processed for the purposes of the selection process as well as for the realization of the legitimate interests of the data controller in respect of any eventual contract of employment. In connection with the close working relations and staff recruitment process your data may be transferred to the parent company, in a country for which an adequate level of protection exists. RaySat Bulgaria Ltd takes the responsibility to handle, use and store your personal data, ensuring its protection from the third parties. Your data in the platform will be stored for a period of up to one year from the date of application and then will be erased by us. · To appeal to the Personal Data Protection Commission.